Oil prices continued their six-week rally last week, with Brent comfortably closing above $71 a barrel. This largely reflected the outlook for the supply-demand balance in the market. The alliance of OPEC and 10 friendly oil-producing nations led by Russia — known as OPEC+ — sufficiently balanced the market when it decided to cut production by 1.2 million barrels per day (bpd) at its meeting in Vienna in December. The action was needed at the time, because waivers to the Iran sanctions the US had earlier granted eight countries had resulted in a supply glut and falling oil prices. 30 percent since the beginning of the year. OPEC discipline with regard to the cuts was stunning, exceeding 100 percent in parts. While there are some dark clouds on the horizon when it comes to the global outlook, economies are still growing. Therefore, the International Energy Agency (IEA) kept its forecast for oil-demand growth constant at 1.4 million bpd for 2019, while OPEC expects global oil demand to surpass the 100 million bpd mark this year, which is a significant benchmark. On the supply side, the OPEC cuts have held constant despite slowing production in Venezuela. OPEC’s numbers for Venezuelan crude production, according to official sources, stood at 960,000 bpd for the month of March, but it only reached 732,000 bpd when the organization looked at independent sources. Some analysts estimated the country’s production at as low as 600,000 bpd during two major power cuts that rendered the processing and loading of crude impossible over considerable stretches last month. The OPEC cuts have held constant despite slowing production in Venezuela. All in all, the outlook for oil markets looks good — something that was the backdrop to two major recent transactions in the market. The first was Saudi Aramco’s bond offering, which was a real blockbuster. According to observers it was standing room only at some of the roadshow presentations. Demand for the $12 billion bond is said to have exceeded $100 billion, in what is Aramco’s initial offering on the international market. The fact that oil markets provided positive mood music certainly helped that transaction. The second landmark transaction was Chevron’s acquisition of Anadarko for $50 billion, a figure that includes the assumption of a $17 billion debt. It is the largest such transaction in the oil and gas space since Shell completed its purchase of BG Group in 2016. The Chevron transaction was also well received, and made a lot of sense. It boosts Chevron’s exposure to the US shale space in Texas and New Mexico, offshore production in the Gulf of Mexico, and to LNG. All are highly complementary to Chevron’s existing portfolio. The LNG part is important in light of gas playing a major role in energy transition strategies of many countries, particularly in Asia. The transaction will also lift Chevron up to join ExxonMobil, Shell and BP in the ranks of “ultra-super majors.” Again, the fair winds from the oil markets did their bit in how the transaction was perceived. Future trends in the oil market will largely hinge on two factors. First, the world is waiting on whether the administration of US President Donald Trump will extend the Iran oil sanction exemptions granted to eight countries. This will indicate how many more barrels of Iranian crude will come off the market. We shall know more in May when these decisions are taken. 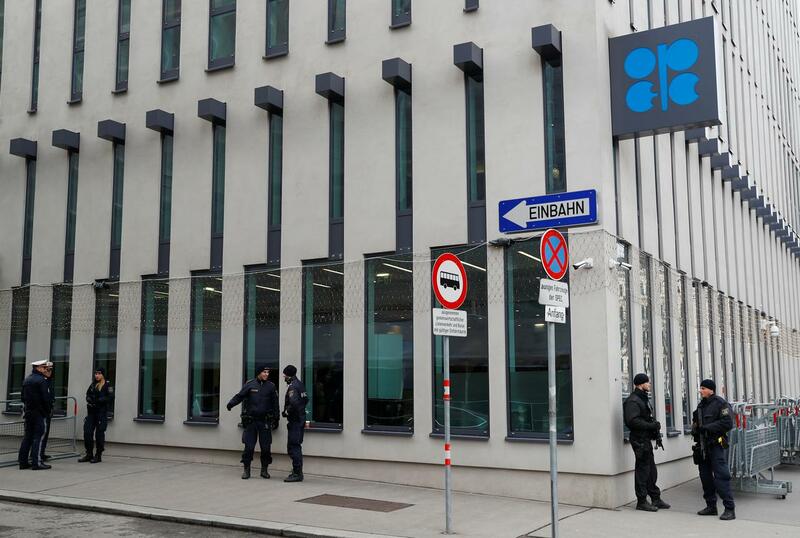 Second, OPEC+ will meet in Vienna at the end of June. The ministers will watch closely what the US is doing with respect to Iran; Venezuela and the deteriorating situation in Libya will also be on their minds. Most importantly, there are discussions within the Russian government as to how long the OPEC+ production cuts should be extended. The latter is very important, because it was the market power of OPEC+ in its entirety that helped balance the markets. With that in mind, the Aramco and Chevron transactions came at just the right time — and timing is everything when it comes to such international deals.